Half of professional WWE wrestlers in the UK are vegan, one of the industry’s top stars has revealed. 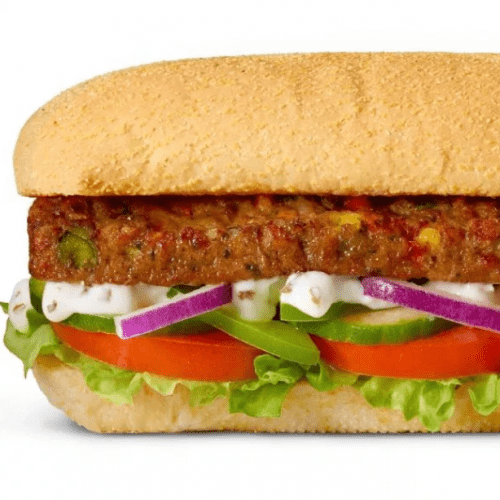 Veganism has been in the spotlight from the outset of 2019 in the UK – first due to the huge popularity of Veganuary and then from the ongoing hysteria about the Greggs vegan sausage roll. 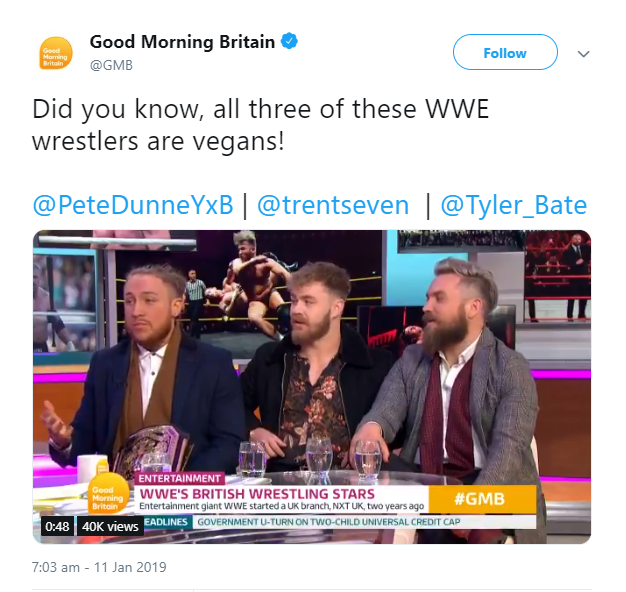 And today on Good Morning Britain three of WWE’s top UK wrestlers revealed they are all vegan. Pete Dunne, Trent Seven and Tyler Bate appeared on the show to debunk some of the myths about a plant-based diet. 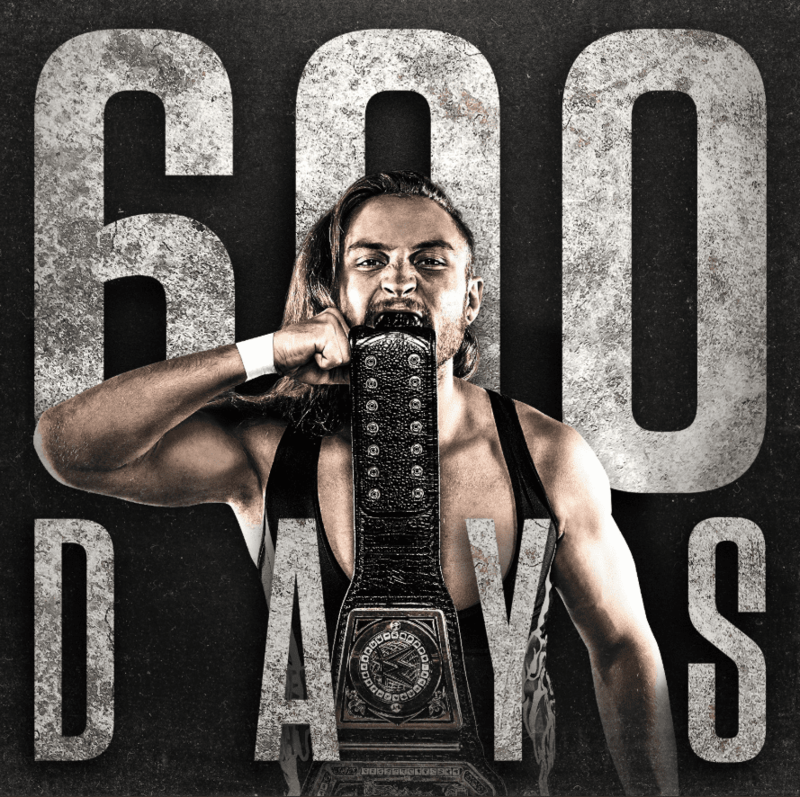 Dunne, who is the current and longest reigning UK champion, said a vegan diet is optimal for ‘peak performance’ in the sport. 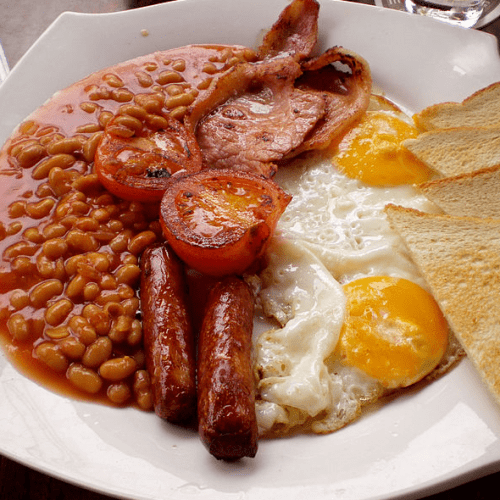 “The big myth is that you won’t get enough protein. With a little bit of thought it’s easy,” he explained. Dunne said he always wanted to go vegan, and originally thought he would have to wait until the end of his career. 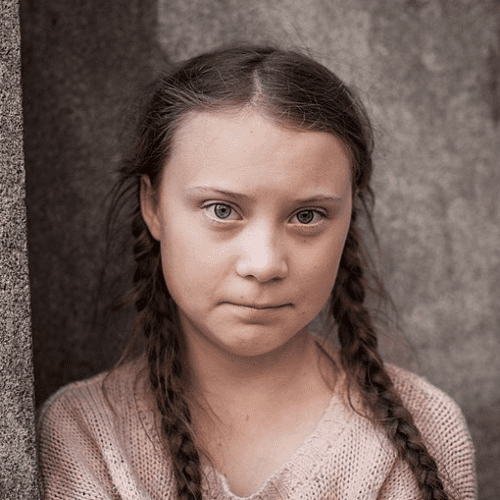 “But it seems like maybe half the talent in the UK are now vegan,” he added. 25-year-old Dunne made his debut in 2005 at the age of 12, and made his professional debut in 2007. He turned vegan because of his love for animals, and was converted after watching the documentary Cowspiracy. Trent Seven, 37, is a former NXT Tag Team Champion acted in the 2017 movie Transformers: The Last Knight as character Hengist. And 21-year-old Tyler Bate was the youngest ever UK champion at the age of 19. Tyler Bate and Trent Seven celebrating a tag-team victory. Image courtesy of NXT UK. What do you think of this story? Tell us in the comments section below!